During discussions of Amiri Baraka's poetry in my literature courses, I invariably find myself explaining his references to villainous historical figures and troubling injustices. Students expecting poetry to be only about love and pleasantries are often surprised and disturbed by what they learn from Baraka's works. His poetic recollections make students aware of frightening histories that had somehow eluded them in their previous studies. In "Dope," Baraka mentions the poet "Pablo Neruda" and "Allende's government" (a reference to Salvador Allende), both of whom died under seemingly mysterious circumstances during a coup of Chile in 1973, which was secretly backed by the U.S. government. The coup brought the notorious dictator Augusto Pinochet to power. Baraka also mentions Congolese leader Patrice Lumumba who was assassinated by political rivals. Those rivals, in turn, were assisted by the Belgium government, whom the Congo had won independence from under Lumumba's leadership. The U.S. Central Intelligence Agency had also planned to kill Lumumba through the use of poison. In his poem "Jungle Jim Flunks His Screen Test," Baraka ridicules unnamed subjects for their deeply troubling ways. Speaking directly to those subjects, Baraka notes at one point that "you" are "uglier than Papa Doc, Hitler and Mobutu" as well as Benito Mussolini and Francisco Franco, all of whom were brutal dictators responsible for countless murders. Baraka's recurring use of "ugly" is humorous, yet some of the histories that he embeds in the insults are atrocious. 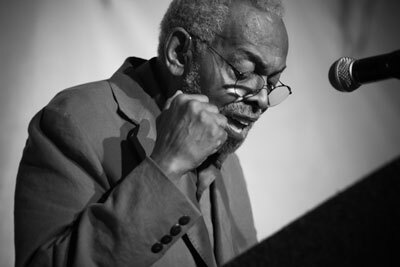 Baraka takes similar steps to recall troubling histories and murderous leaders in his poems "Somebody Blew up America" and "Why is We Americans." His ability and willingness to point out government-sanctioned crimes and injustices are remarkable. Relatively few poets go to such lengths to document unsettling world events across such extended periods of time and identify the ugly ways of vicious leaders. Have watched this one and really I was impressed! No wonder because he really is good person and he's not afraid to share what he knew. Thanks for this by the way!